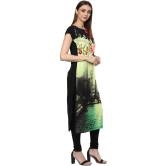 Look Your Casual Best As You Get Ready For A Fun Day With The Girls, Wearing This Multicolour Kurta From Anuswara. 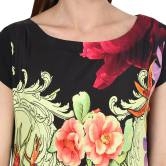 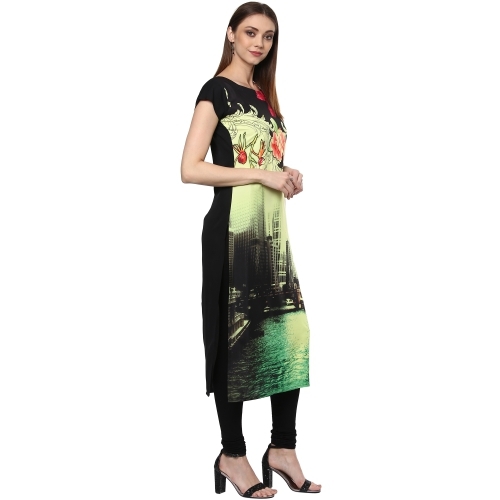 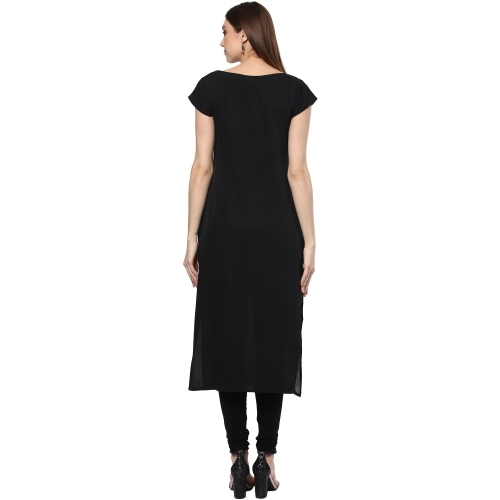 Made From Crepe This Kurta Features A Boat Neck And Will Be Comfortable To Wear All Day Long. 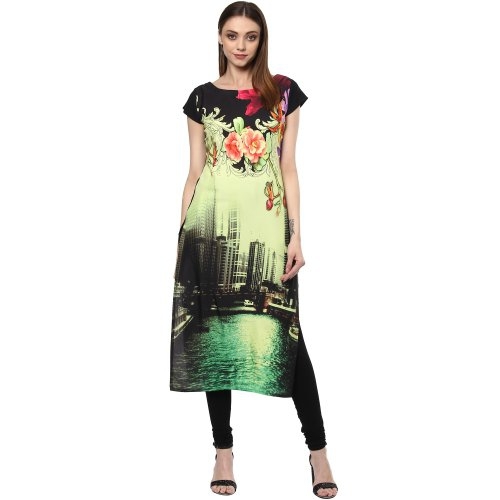 This Casual Kurta Can Be Teamed With A Black Churidar And A Pair Of Golden Stilettos To Complete Your Stylish Look.